Hurricane Florence had other ideas. 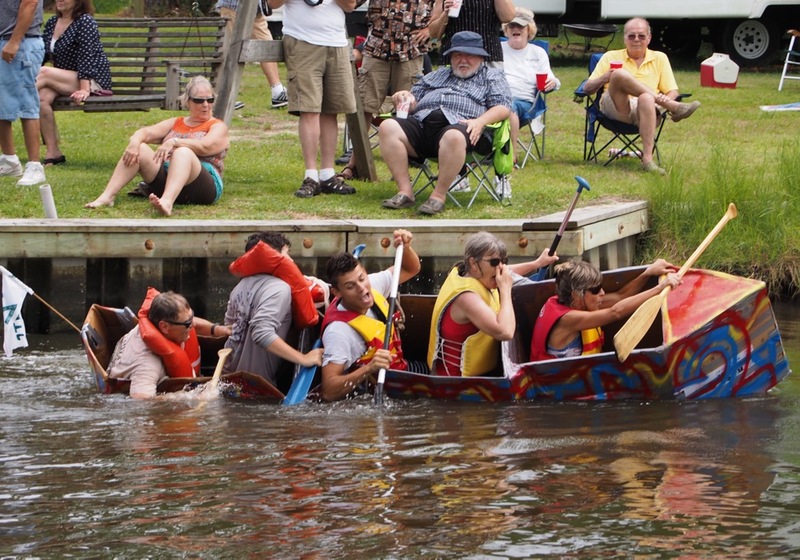 Cardboard boat races may get rescheduled – check back. The Cardboard Boat Race @ Paradise Cove Marina returns Saturday September 15. Participants arrive at 12 noon, spectators at 2p. This is a BYO everything event. There is a registration fee of $20 per boat (organizers need at least 10 boats signed up in order to hold this event – the fee is just to pay for a porta-potty.) Contact Organizer Tracy Peterson if you are going to make and race a boat. Any monies collected (after paying for porta potties) will be donated to PAWS. For more info contact Tracy at 252-675-5348. What’s a cardboard boat race like?